Buy now. Ride now. Pay Later. Protect your bike for your peace of mind. Test ride an eBike at our London Bridge Showroom. Ride trails near our Peaslake store. Book an appointment with London’s leading electric bike retailer. Potholes, vibrations, lumps and bumps are simply ironed out. Because with Control Technology – full suspension plus other safety components – the Delite GX Rohloff maintains contact with the ground on poor road surfaces and you remain in full control. The active rear swing arm, optimised front wheel suspension and co-sprung luggage carrier form the core of this technology. They ensure better road holding, a more sporty feel and increased safety at high speeds and in tricky situations. 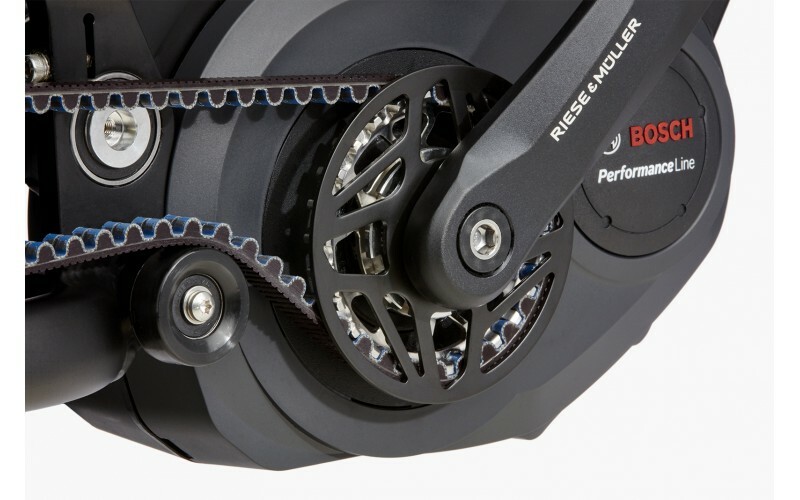 The GX Rohloff 14-Speed hub gear harmonizes with the Bosch Performance CX system wonderfully. The enormously wide range is extremely low maintenance and can be shifted when stationary. Anyone who enjoys challenging the mountains or sporty rides through the countryside or city, the Delite GX Rohloff has full package. Making use of the Bosch Performance CX System, Control Technology and extremely robust 14-Speed Rohloff gearing, this Riese & Muller offers ultimate riding pleasure! 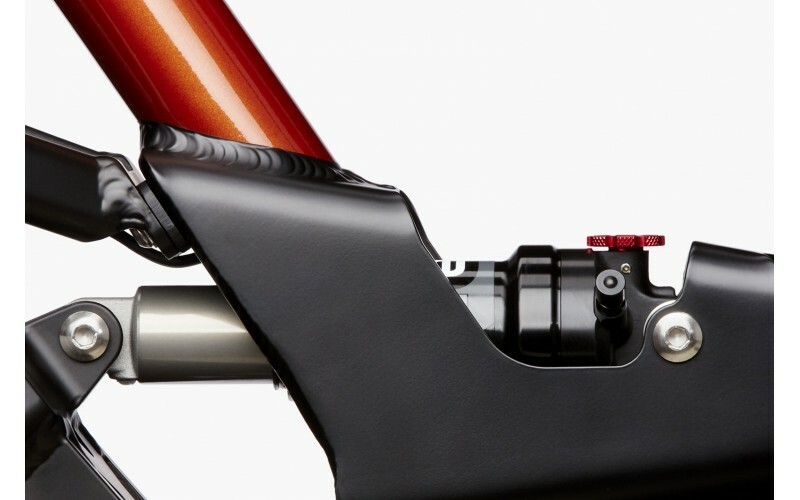 The Delite GX features the critically acclaimed Rohloff gearing system. Specifically designed for Bosch, it synchronizes perfectly with the mid motor to provide you with a fast, unique, failure free system. With 14 real gears, a total overall gear range of 526% and the highest efficiency of any bicycle gear hub, the Rohloff SPEEDHUB 500/14 forms a highly durable and coherent basis for the rider to enjoy. 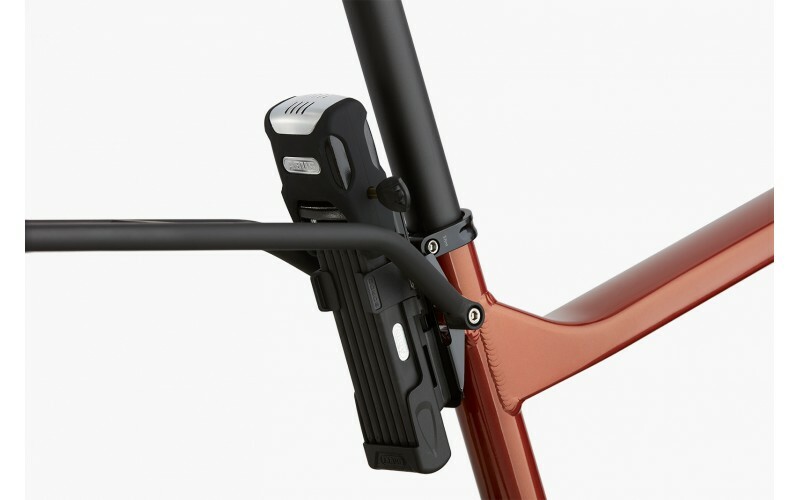 The shifting system comprises of 2 main components: - the handlebar mounted electronic switch unit and the SPEEEDHUB mounted shifter unit. The Delite GX Rohloff features the latest and best performing Bosch System available - The Performance CX & 1000Wh DualBattery. Control Technology keeps ground contact on poor roads and bumpier surfaces. Vibrations and hard knocks like those experienced on cobbles or kerbs are simply smoothed out. Your luggage is also protected by the frame-mounted, sprung luggage carrier. Currently the Control Technology features Suntour Aion air suspension fork & X-Fusion O2 air-sprung element, but for £559 you can upgrade to Fox Air Float suspension for the highest spec possible! 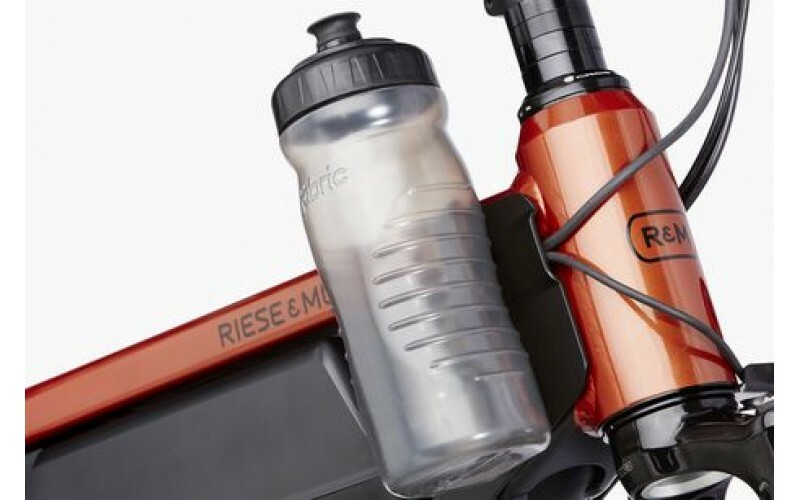 Still have questions on the Riese & Muller 2019 range? Give Fully Charged a call, where our experts are on standby. Alternatively, if you want to try before you buy. 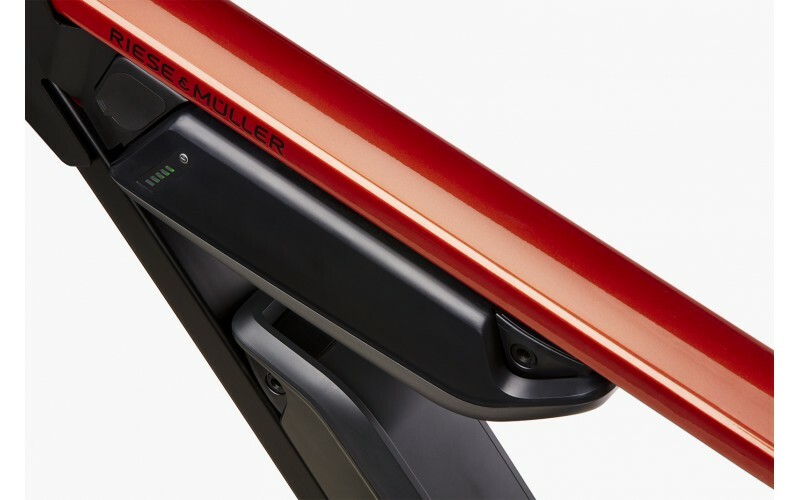 Visit us in store to test ride our full range of Riese & Muller eBikes. Wheel Make and Size Rodi Tryp35, 27,5"
No reviews yet, please add one below. 5 Stars based on 6 reviews. This electric bike is available with free UK delivery, a 2 year warranty and an optional 6-week health check. Our experienced eBike technicians will build and inspect your bike before dispatch. If you aren’t satisfied with your purchase, we accept returns providing the bike is in showroom condition and covered under 5 miles. We provide free tracked delivery on all purchases over £2000, or £40 otherwise. Free 6-week health check & recommended service plan tailored to you. 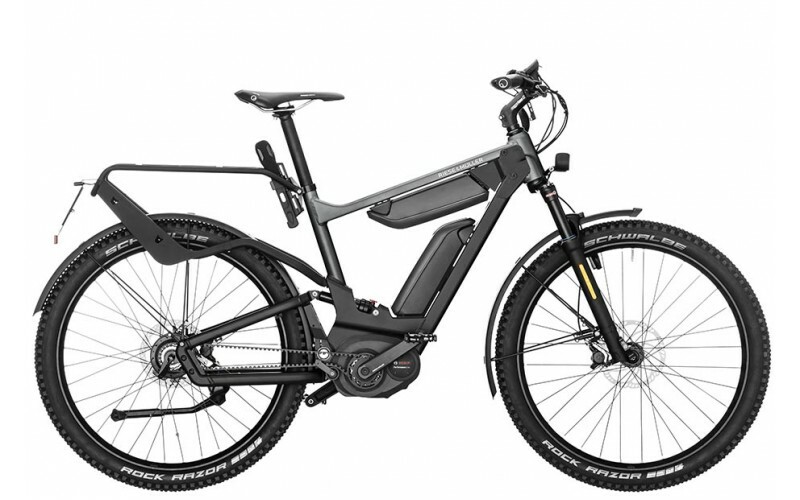 2 years manufacturers warrantee on all eBikes.